NEW DELHI: Niti Aayog is all set to instill sense of healthy competition amoungst 700 district hospitals across the country. As a policy, the Aayog along with the health ministry has launched a composite index-Health of our Hospitals- in order to rank the performance of government hospitals. A report in TOI states that using the index, the Aayog will track the performance of the hospitals based on their performance on various health indicators, which will also include feedback of patients. The index was recently launched by Niti Aayog vice chairman Arvind Panagariya adds the daily. 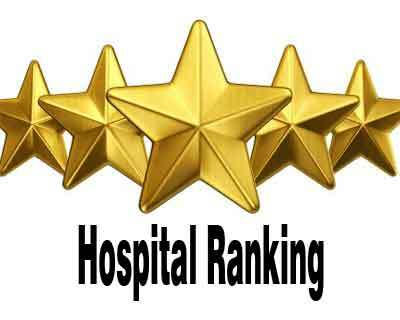 “The framework for ranking district hospitals, with focus on achieving key health outcomes, is expected to foster a competitive spirit amongst them. It will also foster a culture of cooperation by way of sharing of good practices,” said an official. Similar project was undertaken by NHSRC for ISO accreditation of district hospitals in EAG states. That need to be used as a stepping stone. Otherwise all the resources put in this project will not be worth and we will again put in a lot of resources for the NITI aayog rankings. If developed well, the district hospital has enough workload to sustain all post graduate branches of medicine and surgery. If an individual post graduate can start his own hospital and survive and flourish, why every branch cannot be developed at district hospital? District hospital can then work as a teaching center for almost all paramedical staff. It can also function as a small medical college catering 20 to 40 medical students and one seat for post graduate in each major branch. It is already being done as part of D.Nb programme at medium size private hospital. It will provide much needed doctors in society. It is one of the best move of \’\’ CHANGE \” because allready enough have been targeted for infrastructure development,manpower development,increase of institutional delivery,increase of OPD/IPD ,but real outcome must be measured against ME may be under NQAS following ideas of NITI Aayog\’s directive. But there should not be any false reporting or any bias reporting for which Community Monitoring along with stakeholders cooperation will help to fill up the gaps in a definite time bound period at least to start with for District Hospital .